4 channel Full HD PoE NVR, Power Adapter, USB mouse, Power cord cable. 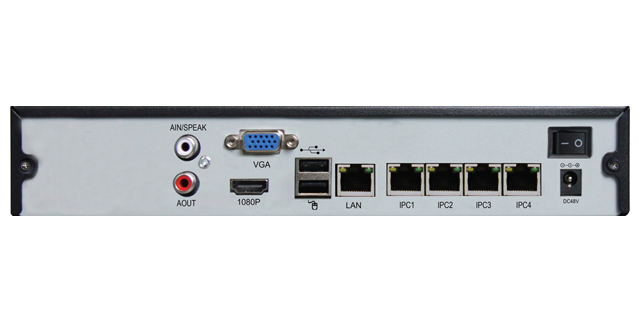 Power over Ethernet Network Video Recorder SA-NVR1-4P, connects up to 4 IP video cameras with maximum resolution 1920*1080(2MP).The PoE NVR ensures simultaneous high quality transmission of up to 4 video streams from IP cameras to one screen using HDMI (or VGA) cable connection. 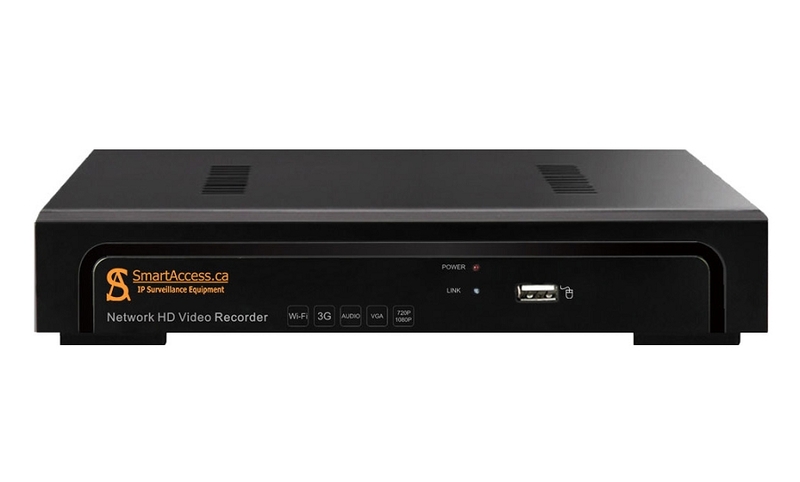 The PoE NVR's software supports 15x digital zooming, the enlarged picture can be rendered on a screen in live mode (from real-time video stream) or playback mode (from recoding). The PoE NVR model SA-NVR1-4P can be accessible from local network or/and the Internet, if applicable, to control the PoE NVR and to render its live video streams on screens of the computers and/or mobile phones, which are permitted to access the PoE NVR.